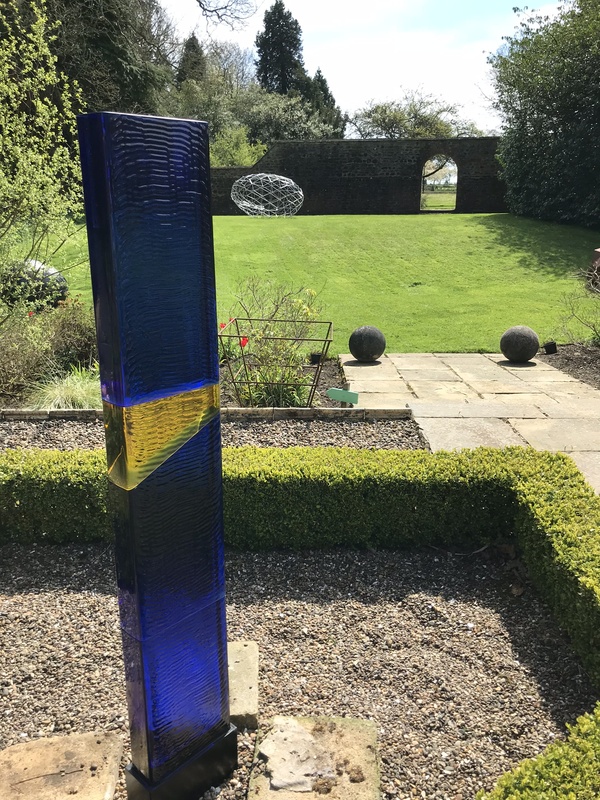 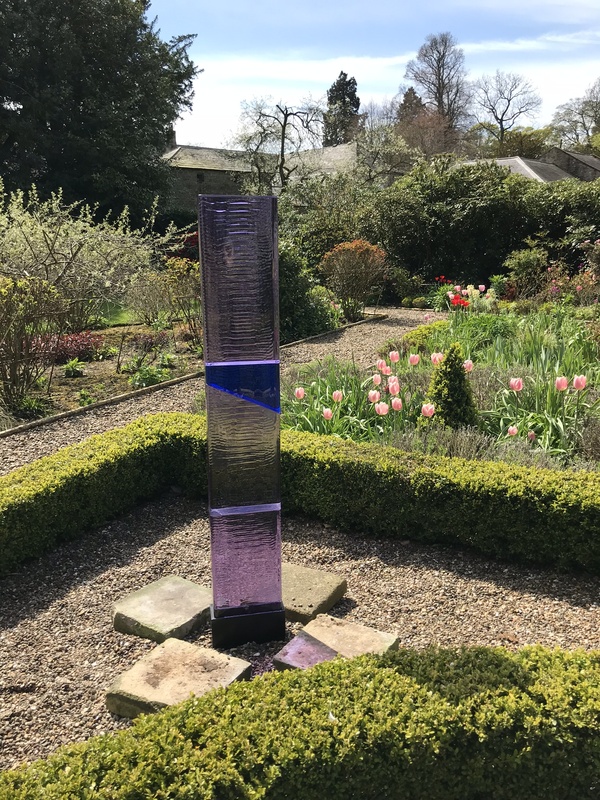 Each colour columns measures 1.5m tall and shows the interplay of colour and light when the work is sitated in an rural setting. The works also show how the colours blend at the boundaries between the elements which make up the whole. 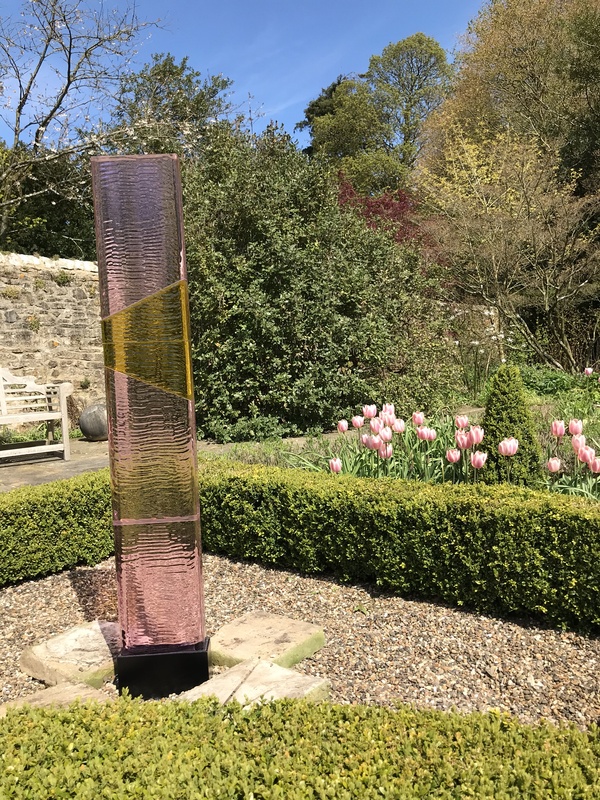 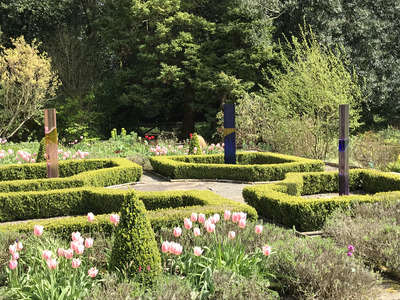 These works are situated in the grounds of Cheeseburn Grange sculpture gardens. The show the ever changing nature and quality of the material, glass, as the light changes as the hours of the day and the seasons pass.